Traditionally, Americans learned in school that the ancestors of the people who inhabited the Western Hemisphere at the time of Columbuss landing had crossed the Bering Strait twelve thousand years ago; existed mainly in small, nomadic bands; and lived so lightly on the land that the Americas was, for all practical purposes, still a vast wilderness. But as Charles C. Mann now makes clear, archaeologists and anthropologists have spent the last thirty years proving these and many other long-held assumptions wrong. Certain citiessuch as Tenochtitlán, the Aztec capitalwere far greater in population than any contemporary European city. Furthermore, Tenochtitlán, unlike any capital in Europe at that time, had running water, beautiful botanical gardens, and immaculately clean streets. Pre-Columbian Indians in Mexico developed corn by a breeding process so sophisticated that the journal Science recently described it as "mans first, and perhaps the greatest, feat of genetic engineering." Amazonian Indians learned how to farm the rain forest without destroying ita process scientists are studying today in the hope of regaining this lost knowledge. On March 22, 1621, an official Native American delegation walked through what is now southern New England to negotiate with a group of foreigners who had taken over a recently deserted Indian settlement. At the head of the party was an uneasy triumvirate: Massasoit, the sachem (political-military leader) of the Wampanoag confederation, a loose coalition of several dozen villages that controlled most of what is now southeastern Massachusetts; Samoset, sachem of an allied group to the north; and Tisquantum, a distrusted captive, whom Massasoit had reluctantly brought along as an interpreter. The introduction, discussion questions, suggested reading list, and author biography that follow are intended to enhance your groups conversation about 1491, Charles Manns compelling and wide-ranging look at the variety, density, and sophistication of the cultures in the Western Hemisphere before the arrival of Columbus. 1491 is a groundbreaking study that radically alters our understanding of the Americas before the arrival of the Europeans in 1492, and a necessary book for understanding the long, remarkable story of the indigenous peoples of the Western Hemisphere. In a book that startles and persuades, Mann reveals how a new generation of researchers equipped with novel scientific techniques came to previously unheard-of conclusions. (Reviewed by BookBrowse Review Team). ....the journalistic approach eventually falters as his disorganized narrative rambles forward and backward through the centuries and across vast continents and back again, producing repetition and contradiction.....he is also less than discriminating in evaluating the array of new theories, some far weaker than others....despite these missteps, Mann's 1491 vividly compels us to re-examine how we teach the ancient history of the Americas and how we live with the environmental consequences of colonization. If you accept that there were tens of millions of people in the Americas in 1492, the common belief among the experts today, then you cannot reject what Charles Mann has to say. We all have been taught what the human species gained by the European invasion of the Americas. Now we have to consider what we, all of us, lost. When does American history begin? The old answer used to be 1492, with the European arrival in the Americas. That answer is no longer politically or historically correct. For the last thirty years or so historians, geographers and archaeologists have built up an arsenal of evidence about the residents of North America after the ice receded and before the Europeans arrived. Mann has mastered that scholarship and written the most elegant synthesis of the way we were before the European invasion. An excellent, and highly accessible, survey of America's past: a worthy companion to Jake Page's In the Hands of the Great Spirit (2003). Starred Review. In a riveting and fast-paced history, massing archeological, anthropological, scientific and literary evidence, Mann debunks much of what we thought we knew about pre-Columbian America. Mann has done a superb job of analyzing and distilling information, offering a balanced and thoughtful perspective on each of his themes in engaging prose. Including an extensive bibliography, this excellent archaeological synthesis is highly recommended for anthropology and archaeology collections in academic and large public libraries. A superbly written and very important book: by far the most comprehensive synthesis I've ever seen of the growing body of evidence that our most deep-rooted ideas about the peopling of the Western hemisphere and the kinds of societies that had developed there by the time of European contact are fundamentally wrong. Charles C. Mann is one of those rare writers who can make scholarly concepts exciting and accessible without trivializing them. In 1491 he has integrated the latest research in many different areas with his own insights and experiences to produce a fascinating and addictively readable tour through the 'New World' before its 'discovery.' His book is, above all, a wonderful, unsentimental act of restitution--challenging centuries of cultural contempt and willful blindness to show just how vigorous, various, densely populated and profoundly human the pre-Columbian Americas really were. I greatly enjoyed reading this book and discovering the history of the Native American Indians. 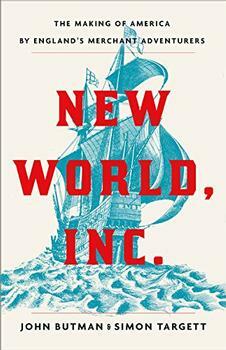 The article that formed the basis for this book was originally published in The Atlantic Monthly in 2002. If, after reading the extensive book excerpt and author interview at BookBrowse, you want to read more you can read the Atlantic Monthly article here. Also of interest is an extensive review in the Washington Post Book World written by Alan Taylor, the author of American Colonies, and a professor of history at the University of California at Davis.